The DDRB provides funds to assist individuals with developmental disabilities and families with a child with a developmental disability to prevent homelessness or displacement. The availability of these resources will allow individuals and families with developmental disabilities to receive assistance with rent and utility deposits; rent and mortgage payments; utility payments, moving expenses and other expenses to establish a household unit. Individuals and families will be connected to other local community services and resources to help sustain their independence. This program is designed to provide emergency/temporary assistance and not yearly ongoing assistance. Eligibility: Individuals must be eligible for services through the Department of Mental Health and a current resident of St. Charles County. Individuals and families must meet the annual income guidelines according to the AMI (Average Median Family Income) for St. Charles County. Individuals and family cannot have annual household income above 50% of the AMI with allowances for each family member. Families with a dependent may have an additional $480 for each dependent and an additional $400 for a family member with a disability. 1. If an Individual and/or family member has a case manager from DMH or DDRB his/her case manager will complete the EHAP Application. 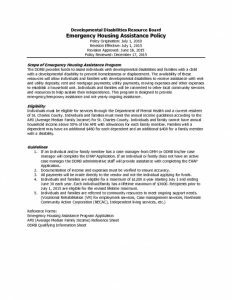 If an individual or family does not have an active case manager the DDRB administrative staff will provide assistance with completing the EHAP Application. 2. Documentation of income and expenses must be verified to ensure accuracy. 3. All payments will be made directly to the vendor and not the individual applying for funds. 4. Individuals and families are eligible for a maximum of $1200 a year starting July 1 and ending June 30 each year. Each individual/family has a lifetime maximum of $3600. Recipients prior to July 1, 2015 are eligible for the revised lifetime maximum.